Tile And Grout Cleaning In London For Immaculate Surfaces! Get the grime from your bathroom tiles and grout removed! Professional equipment used for top results. Prolonging the life of your tiles and grout! Fully insured technicians against property damage. Your tiled surfaces are no longer clean and beautiful? If such is the case, then opt for the ! You can now prolong the life of your tile flooring and all it takes is a single phone call. Our company will provide you with the best cleaning services in the capital – both affordable and conducted by skilled professionals. The beauty and cleanliness of your tile and grout will return and will last longer, thanks to Maggie's Oven Services. Just contact us and our customer care representatives will guide you through the process of booking best tile and grout cleaning in London. 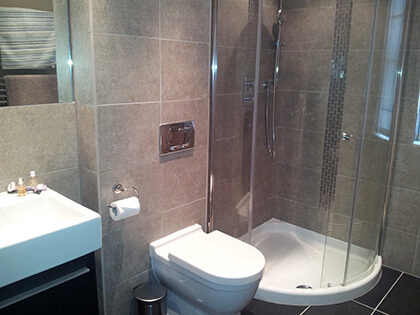 What To Expect From Our Grout Cleaning Services? Our tile and grout cleaning service available in the capital will ensure that your tiled surfaces will last longer. 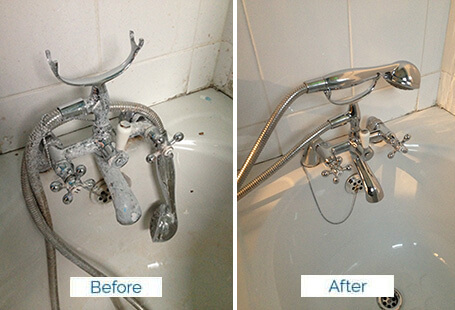 With our special technique, we will prevent cracks in your grout and reduce the risk of mould build-up. Furthermore, you will have your tile and grouted surfaces free from germs and bacteria. We do this without using harsh chemicals or other hazardous products. Rest assured, we use safe methods in order to restore the look and shine of your floor and prolong its life more than you could ever expect. Q: Do you remove calcium deposits from the shower faucets? A: Yes, we do. The cleaners will clean your bathroom from top to bottom. Q: What if we have a faucet or a tile broken? Can you help? A: Well, we only do the cleaning. You have to turn to a handyman, if you need anything repaired. Q: Do you clean limescale from the toilet? A: Yes, we do. Just tell us what you need when booking the service. Q: How long does bathroom scrubbing take? A: Well, it depends on the size and condition of your bathroom. Please ask the cleaner when he's onsite.